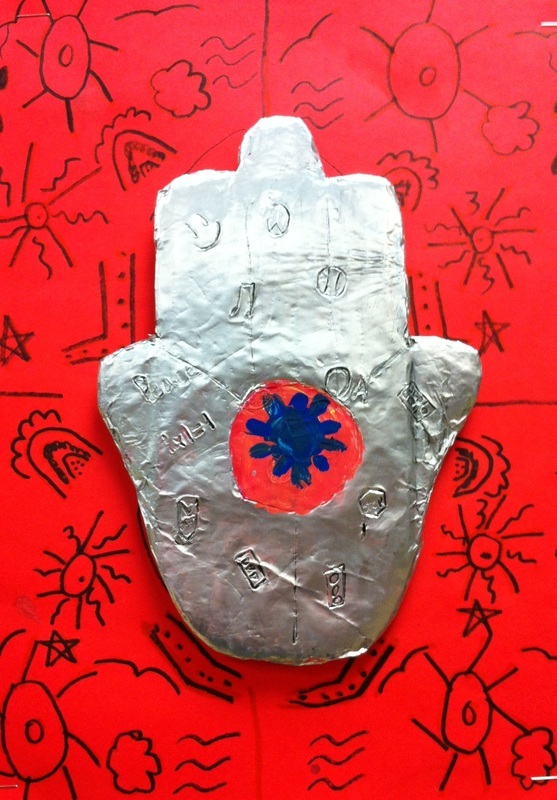 Fourth grade students continued their study of India by creating personal Hamsas. A hamsa is a talisman in Indian culture thought to protect the owner. 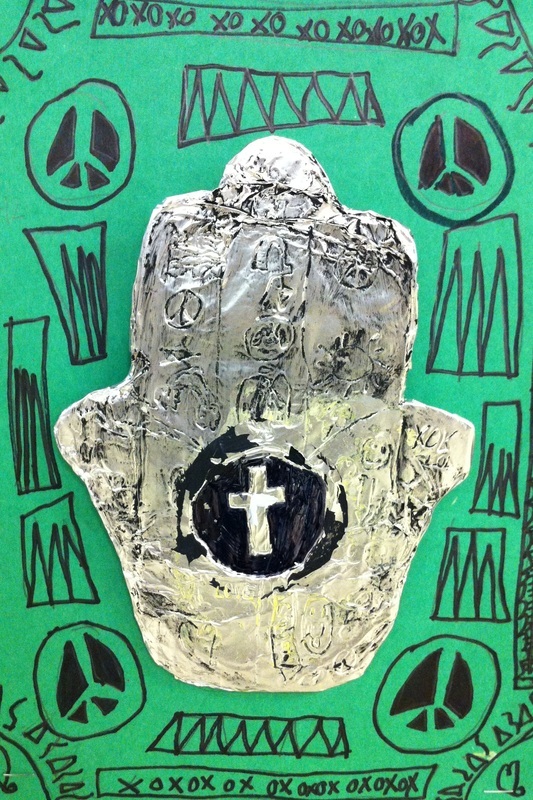 Students carved several symbols to represent themselves and interests. 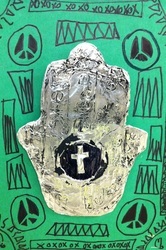 We used cardboard, aluminum foil and tempera paint to create the artwork. 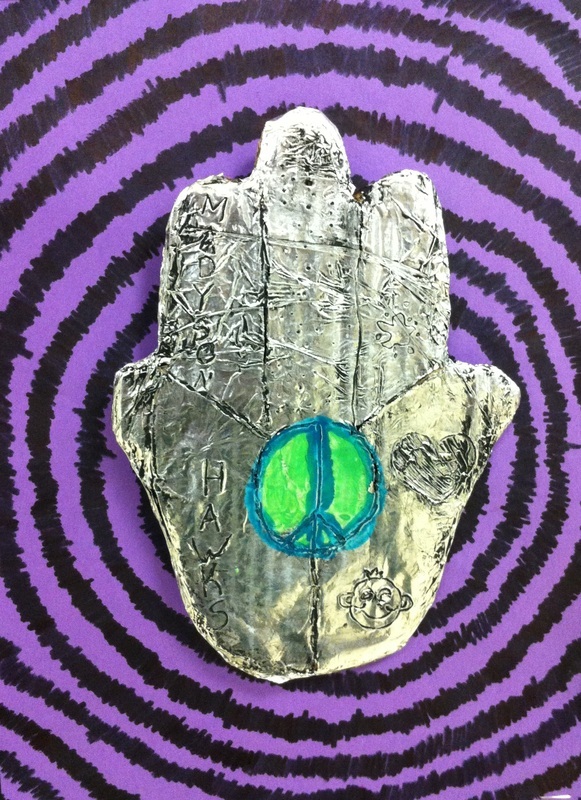 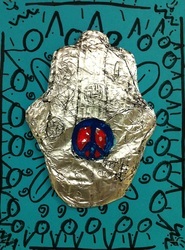 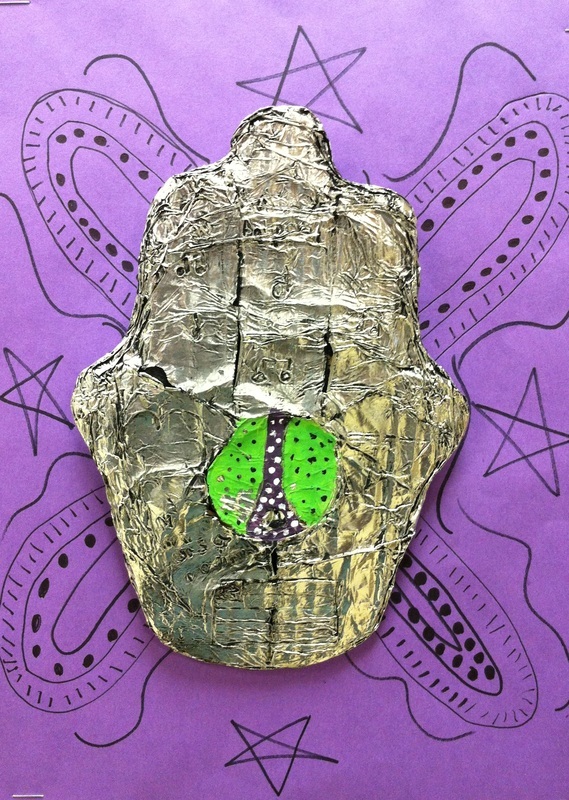 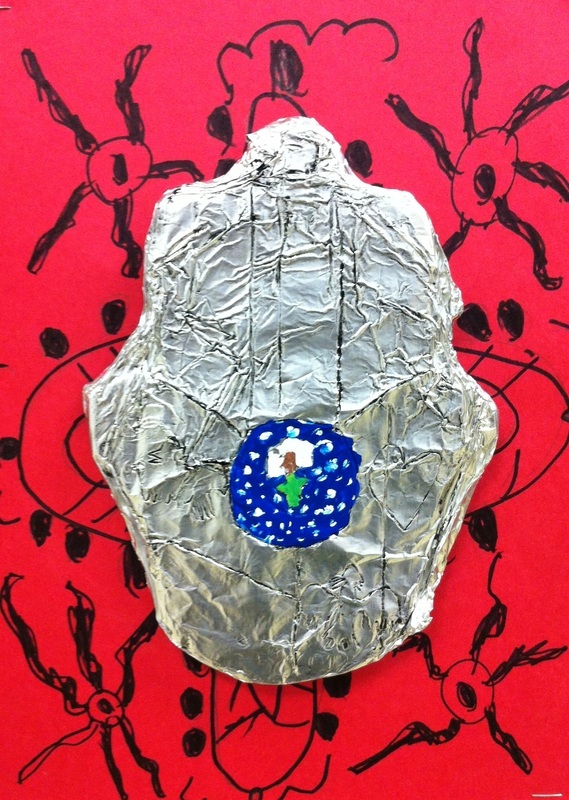 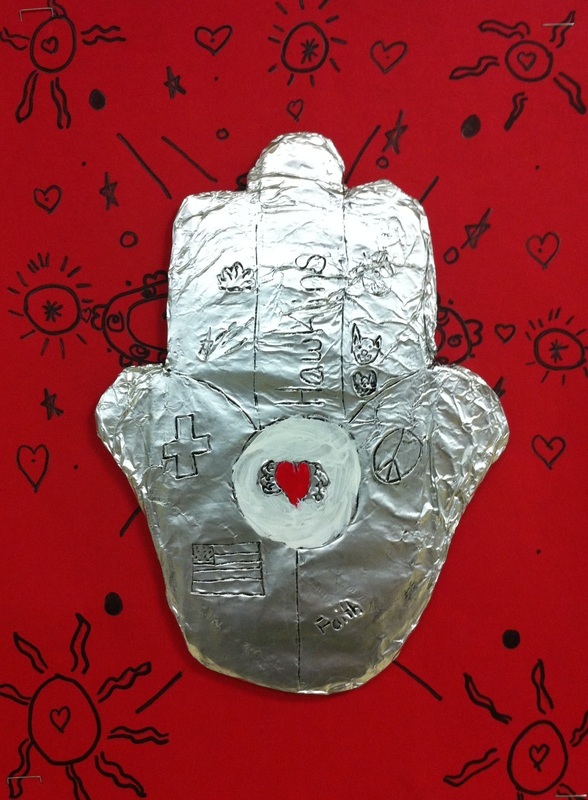 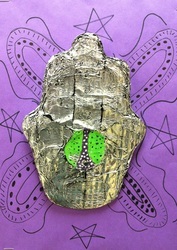 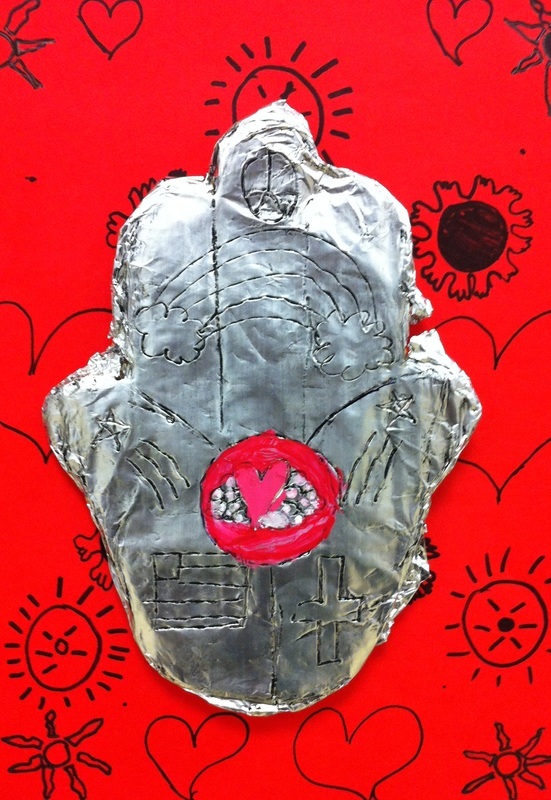 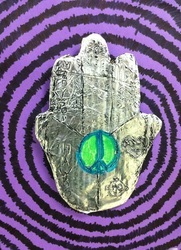 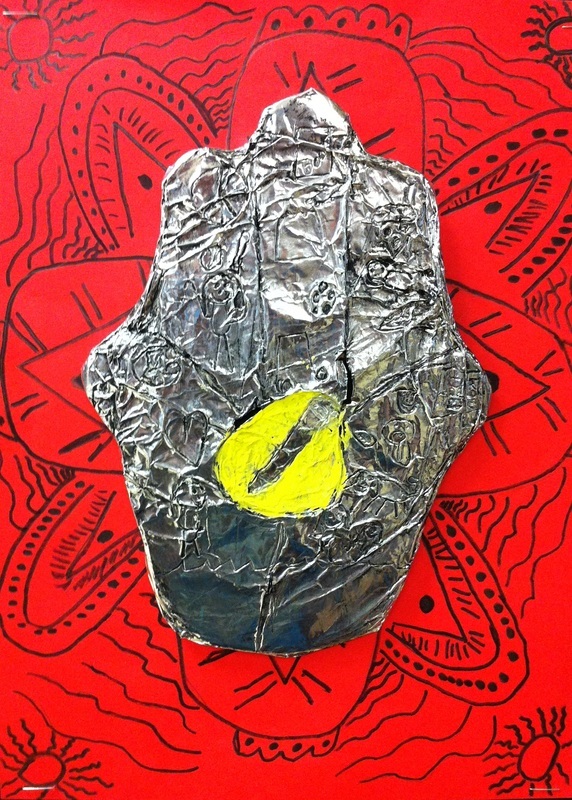 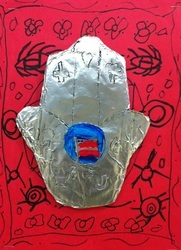 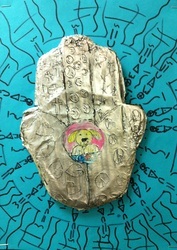 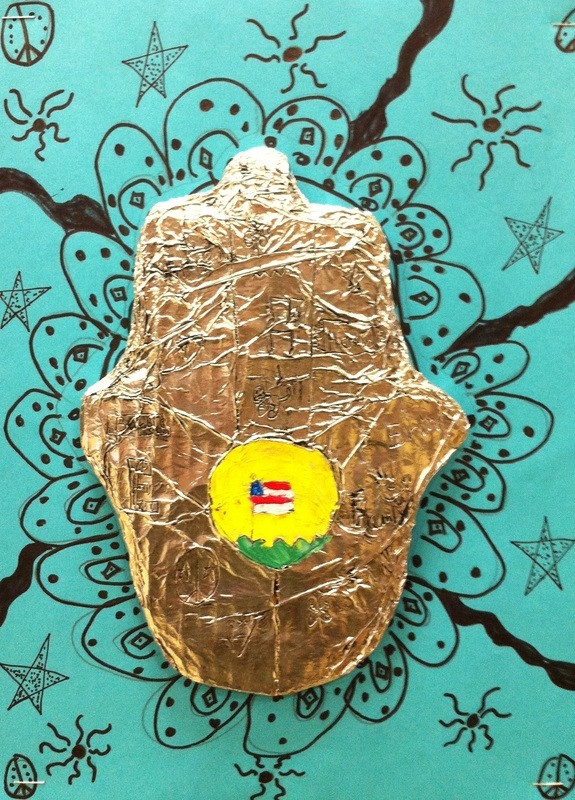 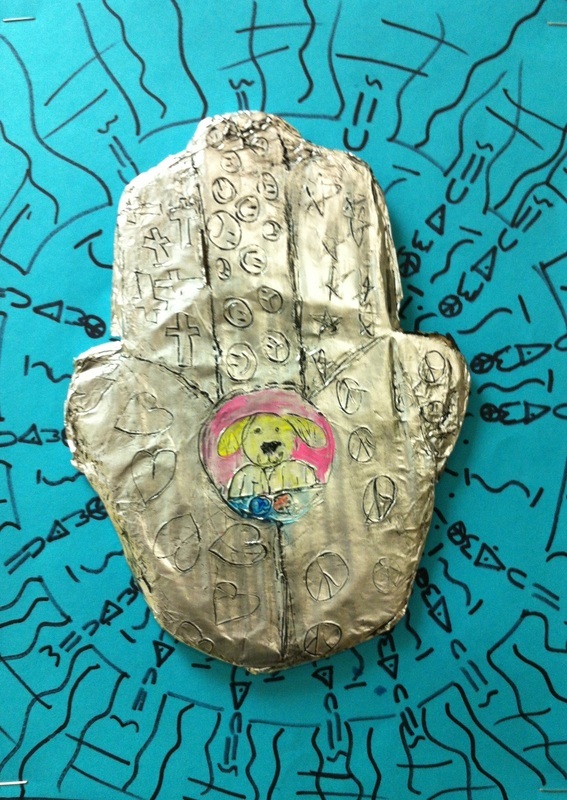 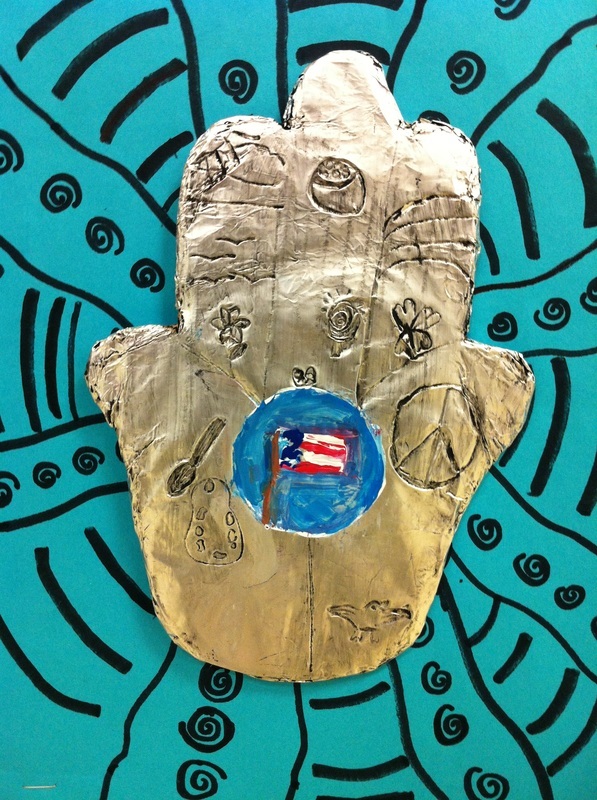 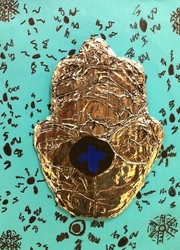 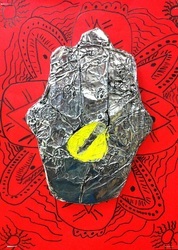 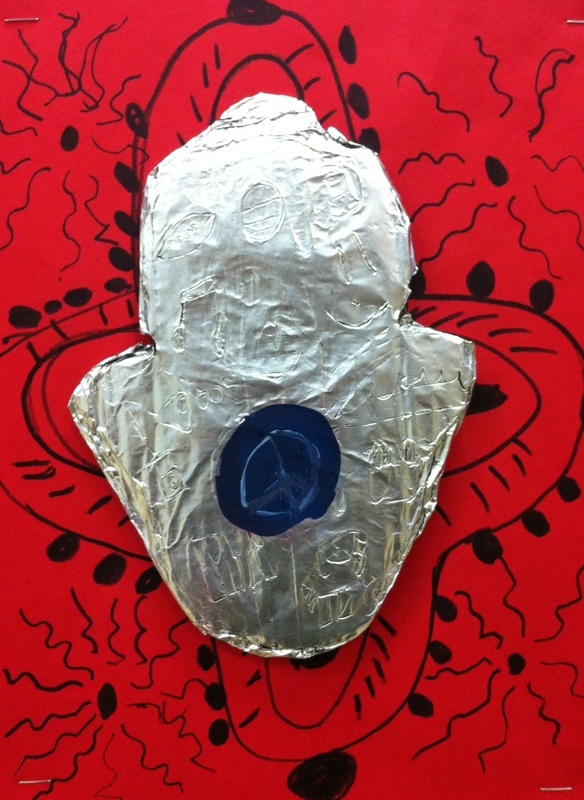 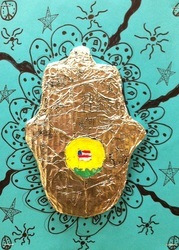 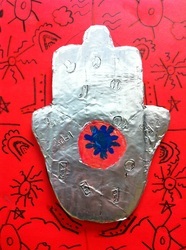 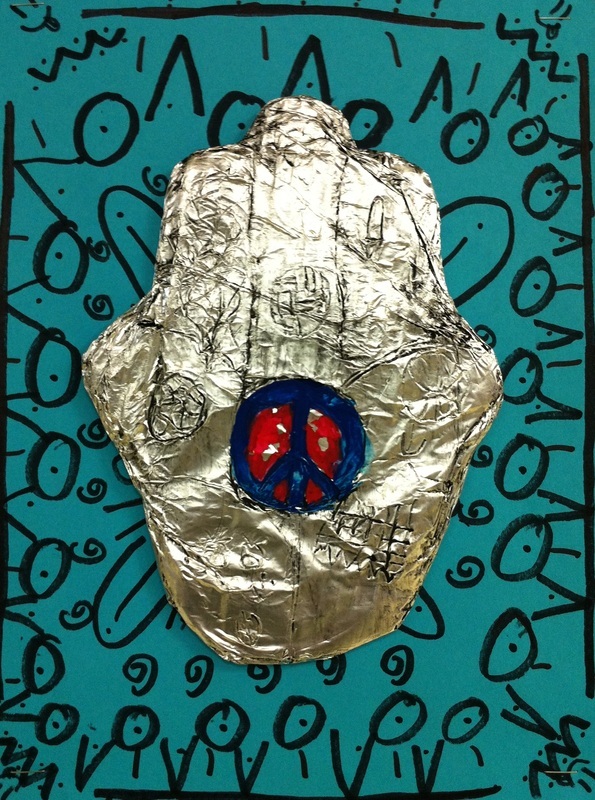 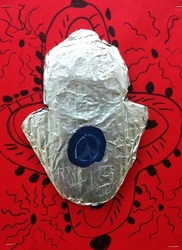 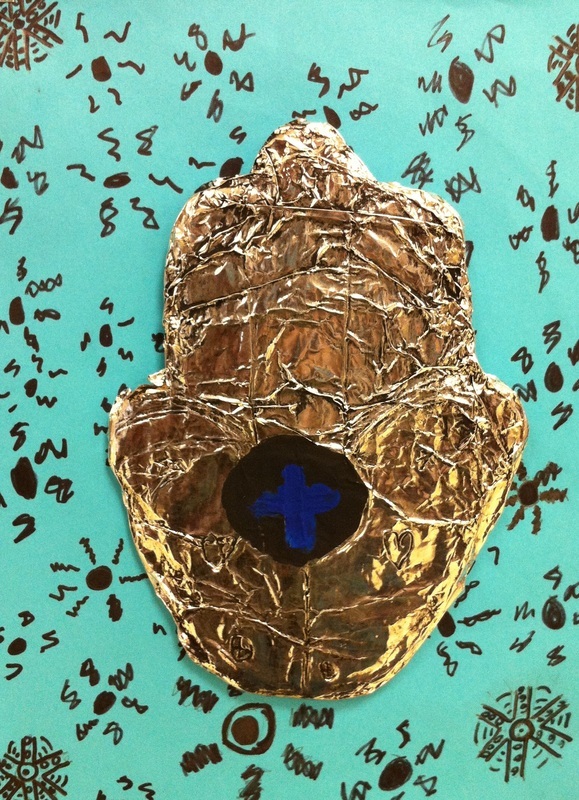 Once students had completed their foil hamsas, they chose a background color to mount their artwork on. 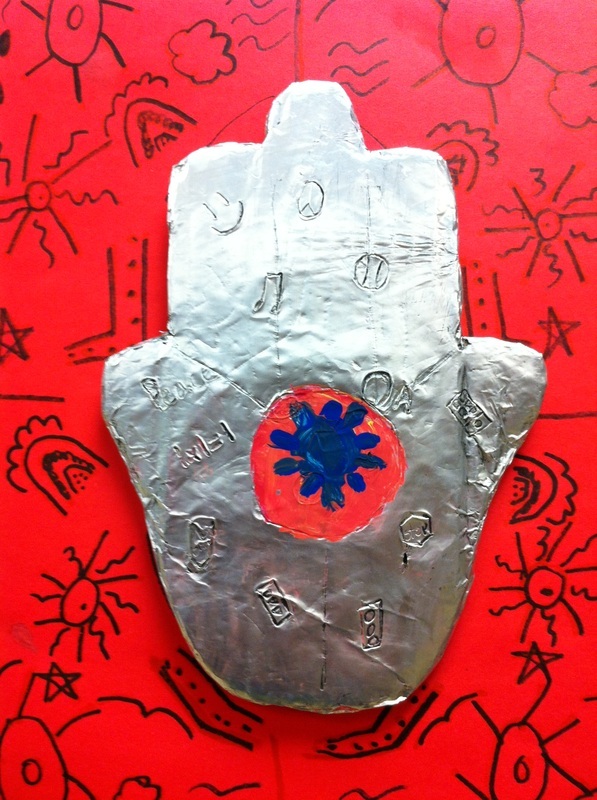 We reviewed the concept of radial design, as we had studied when creating our elephant paintings. 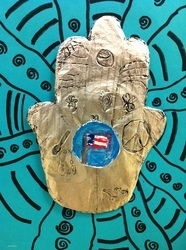 Each student created a unique background using construction paper and permanent markers.